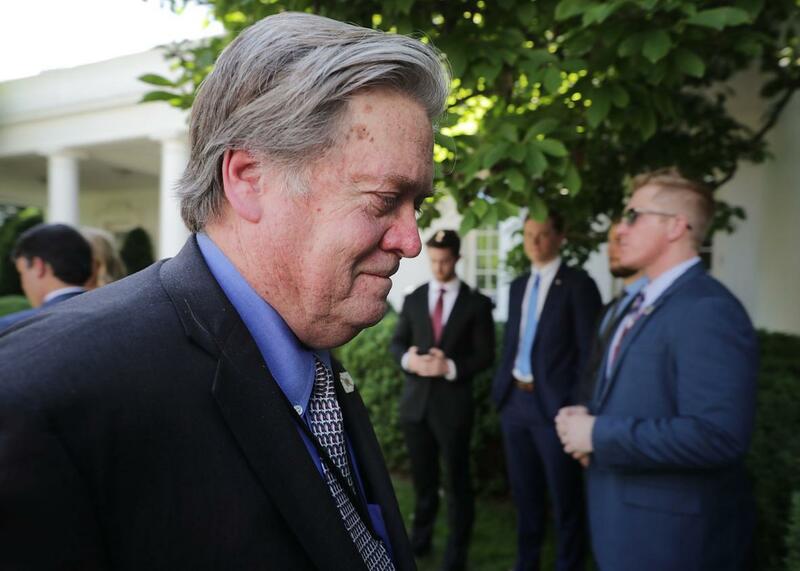 Steve Bannon rules out a military option in North Korea and contradicts Trump completely. There’s no military solution [to North Korea’s nuclear threats], forget it. Until somebody solves the part of the equation that shows me that ten million people in Seoul don’t die in the first 30 minutes from conventional weapons, I don’t know what you’re talking about, there’s no military solution here, they got us. But even if it’s not surprising that Bannon feels this way, the mixed signals coming out of this administration must be whiplash-inducing for the people on the front lines of this crisis. It’s pretty clear at this point that President Trump’s threats to rain down “fire and fury” on North Korea were something less than a statement of official policy and that there’s not actually any serious momentum toward military action against Kim Jong-un’s regime. Still, other senior officials including Secretary of State Rex Tillerson, Secretary of Defense James Mattis, and Vice President Mike Pence have consistently maintained that military options are “on the table” for dealing with the North Korean nuclear threat. This makes some sense: Reluctant as we might be to use military force, there’s little to gain from telling an adversary that it’s completely out of the question. Thankfully, tensions are easing somewhat, with North Korea pausing its plan to fire a missile toward Guam. But there’s every reason to expect another provocation from Pyongyang, and when it comes, it’s going to be very hard to parse who actually speaks for the United States.